Just like the window is the calling card of a store, the homepage is the calling card of your Prestashop. Many people will eventually end up on that page when they land on your site. Whether they are sent there directly or get there after a few clicks, the homepage of your web shop determines the impression people get from you. But that’s not the only reason why the window of your web shop is important. Some people in the SEO world believe that optimising your online shop window can increase your visibility in Google. In this article we share with you what the general thoughts are about optimising your website for search engines and what tips you can use for your Prestashop. If you optimise all content on your website for Google, then it’s not a bad idea to do the same for your homepage. Why would you make all content on your Prestashop search engine friendly, but skip the most important page of your website? It’s the homepage that gets the most appreciation from Google. With this in mind, there are calls to also make your homepage SEO friendly. In general, your homepage contains your company name, but why not also include your most important keyword on the most important page of your website, that is the question. Won’t a photo shop also put much more than just its company name on the front window? It is often clear in one glance that cameras are being sold here. So why would you only mention the name of your business on the welcome page of your Prestashop, if it may not immediately reveal what you are selling? 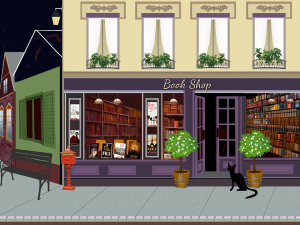 Because of that reason, people often also decorate the front page of their website as a storefront. A collection of images should – for anyone who does not know – make it clear that Foka is a camera shop. But Google can’t really “read” and interpret images. In short, they do nothing for how well you are found on Google. They make your website look good for visitors, but they don’t bring new visitors to your site. Therefore it is important to accompany your photos with content. The advice of Prestashop in this regard is to, for example, create some kind of shop window which contains the products that you want to be found for in Google. If this is, for example, Nikon cameras, you will get a stronger position in Google if you include this in your front page. By doing this, you give extra power to your most important keyword. You become more relevant than competitors who also want to score with Nikon cameras, but haven’t mentioned the word on their front page. Because you mention it on your front page, Google can see that it’s important. However, Prestashop warns that you should not change your front page too often. If you knock over the contents of your front page every time, then Google does not know what is important. If one week you highlight Nikon cameras and the next week Canon cameras, Google will not know what is important to you. You have to have some continuity in your homepage. So if you have an ever changing window, make sure that there are other elements on the front page of your website that do not change (so much). Prestashop recommends that you change the content on your main page no more than three to four times a year. 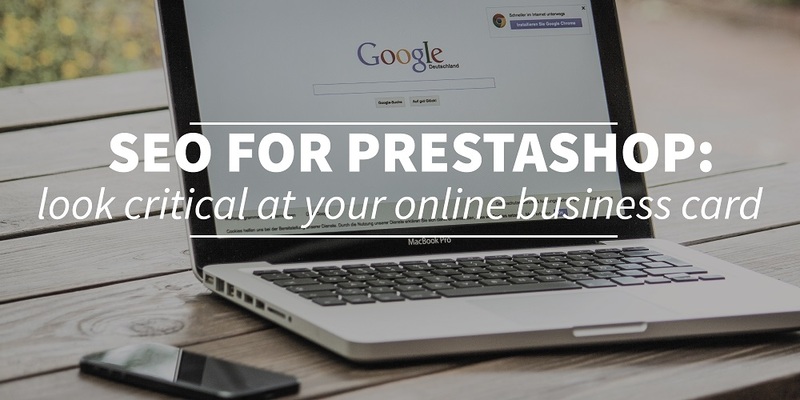 According to Prestashop, optimising your front page is the ideal way to serve the needs of your visitors as well as the needs of Google. However, there are also calls that optimising the front page of your Prestashop is as useful as optimising your contact page. Some argue that it makes no sense to invest time in a piece of content on your front page that meets all the SEO writing rules, yet they also indicate that it wouldn’t do any harm. You can always try, with a little help from Webtexttool, to optimise the content on your front page. 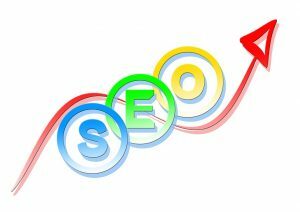 Even the critics of optimising your front page say that there are indeed some SEO rules that also apply to your homepage. Because Google looks at your entire site to determine how relevant you are to be shown in search results, it is important that your website in general meets the SEO guidelines. For example, your front page should be fast, should be free from errors and should be a pleasant experience for your visitor. In short: the opinions on how far you should go with optimising the homepage of your website for search engines vary. One – like Prestashop – strongly supports it, while the other says that it has limited effect. However, it can’t hurt to apply certain SEO rules also on your homepage, because Google looks at your website as a whole. In addition, your front page is the most important page in Google, which means that you can give extra weight to important keyword pages this way. If your competitors don’t do this, then you can definitely stand out. So, make your homepage your best online storefront and try to keep both client and Google satisfied. Would you like to know more, also read our othert articles about SEO for Prestashop, the importance of writing for SEO and linkbuilding.